Things begin to get exciting during the pre-rut. The bachelor bucks’ activities escalate into dominance gesturing whereby true tests of physical strength and stamina take place. Tremendous pushing matches occur, with one buck trying to flip his adversary. By the time these jousting matches end, the hierarchy among bucks will be firmly established. Dominant bucks emerge and the lesser bucks get out of their way. As their testosterone levels rise, bucks feel the first true pangs of lust and begin rubbing like crazy. They also begin to scrape in earnest, leaving signatures that tell does and lesser bucks that this is “their” woods. Dominant bucks begin to travel extensively, checking on does throughout their home range. The basic formula for hunting late in the pre-rut is to locate doe groups and then try to find a dominant buck’s rub and scrape lines in an around the “doevilles”. Hunt areas blazed with fresh rubs and scrapes. For whatever reason, particular area is where he is apt to find does on the brink of estrus. More often than not, a buck’s rubs and scrapes will be in thick cover that he travels through while investigating does in the area. Still-hunting or stand hunting, either on the ground or in a tree stand, can work. But remember, even though a buck is less wary as he looks for does, he is no pushover. A hunter must still be quiet and wind-conscious as he moves into a buck’s domain. The pre-rut is the best time to rattle like two bucks fighting over a hot doe. After crashing antlers together, grind and tick them for realism. You might bring in a curious young buck looking for some action, or a dominant male enraged that two bucks would dare invade his domain. When bucks fight they often grunt, so mix in some calling as extra incentive for a buck to come see what’s going on. Late in the pre-rut and into the first days of the peak, an archery hunter should concentrate his efforts on scrape lines and trails around doe herds. Keep a few lightweight tree stands handy–you’ll want to hang a stand in a moment’s notice when you find a half-dozen scrapes made the night before in an area that previously had no scrapes. One word of caution about relying too heavily on scrapes. Studies have found that a buck might never again visit 25% of the scrapes he paws. Consequently, it is presumptuous to find a fresh scrape and then hang a tree stand over it, expecting a huge buck to show up any minute. He may never return to that scrape, or he may freshen it during the night. Unrealistic expectations have led many disillusioned archers to give up altogether on scrape hunting. Good strategy is to scout and study terrain features, and then hang a stand near a doe trail in a freshly scraped and rubbed area. That way you’ll have a shot at a dominant buck checking his scrapes. You might also spot one or more bucks scent-checking the trail in search of a hot doe. The still-hunting archer can do well during the peak-rut period. You should see a lot of deer and, considering the state of mind of both does and bucks, you might be able to stalk within shooting range. Even the bowhunter standing behind a tree or sitting in a ground blind can score. Remember, deer are less wary, but one whiff of human scent and even a rut-crazed buck will quickly disappear. Trail watching is another good way to harvest a pre-rutting buck, even if you can’t locate hot rubs and scrapes. 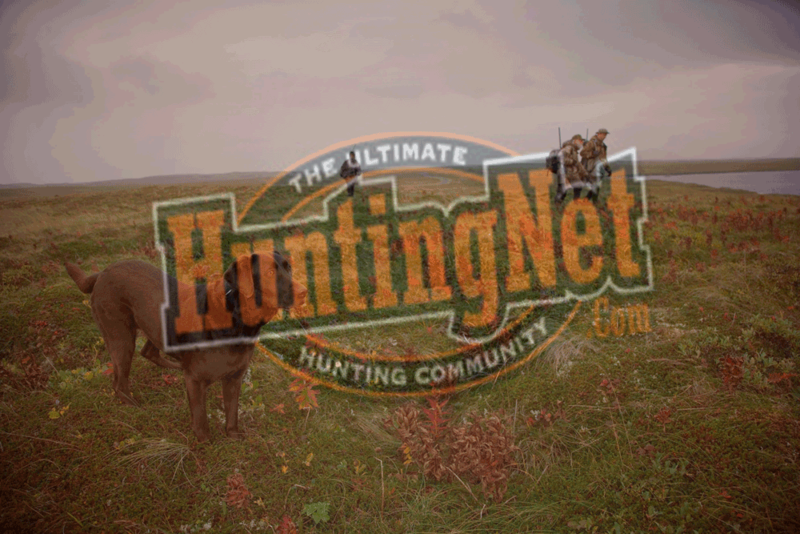 A trail heavily used by does will also see rutting buck activity.